This isn’t your traditional tacos recipe. There is no cheese, no sauce, no peppers. 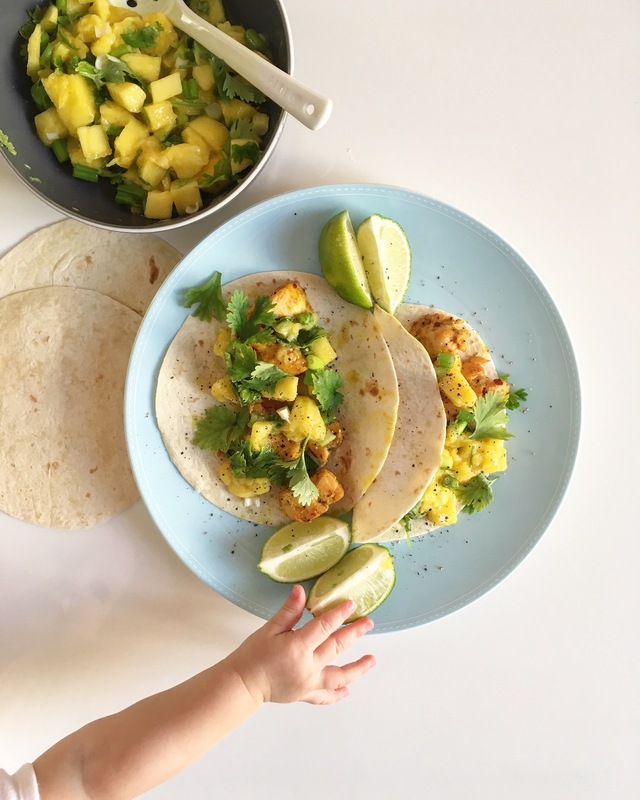 But there is spicy chicken breast with flavorful mango salsa. It’s so bright it reminds me of the beach and sour margaritas. Cut the chicken into cubes. Add the spices and oil. Roast for 20 mins at 220 degrees. Chop the salsa ingredients and season with lime juice. Warm the tortilla bread for couple of minutes in the oven. Serve the bread with chicken and top with salsa.